A restaurant was originally located on this site. All buildings were demolished to make way for a shop, petrol forecourt and restaurant. 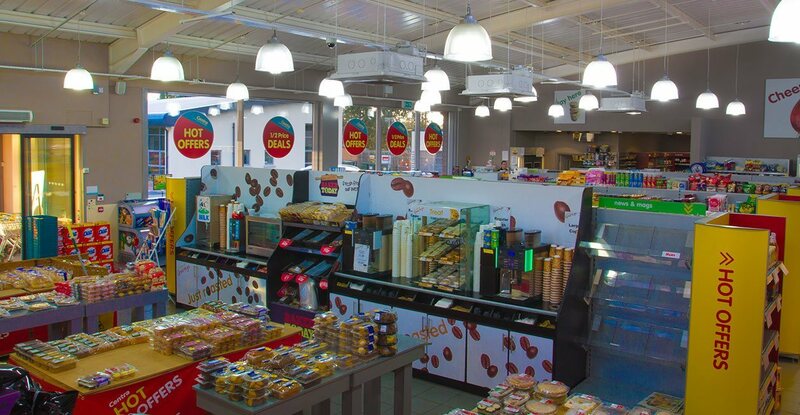 The site layout allows the shop and petrol forecourt to be seen on the approach towards Portadown. The restaurant is at right angles to this, running parallel with Dobbin Road. Our client wanted a bright, modern building. The shop has a curved mono-pitched roof with a clerestorey at high level, allowing north east light to flood the space in the morning. 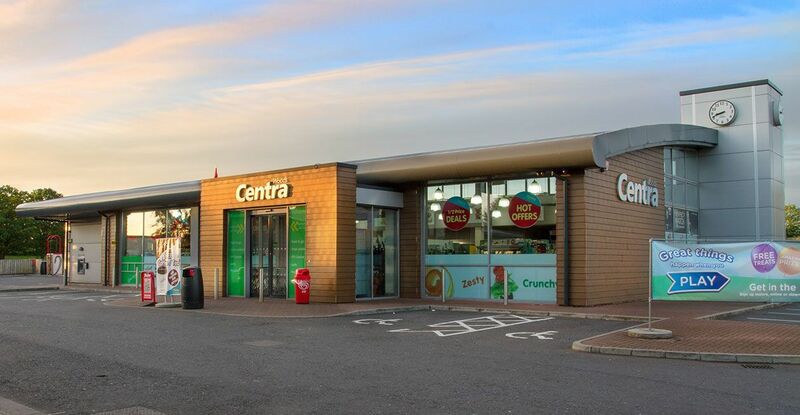 A large overhang to the southwest elevation, overlooking the petrol forecourt, helps control solar gain in the evening. The building is naturally ventilated with low level vents in the form of doors and high level ventilation at clerestorey level. The elevations are modern, finished with a mixture of K-rend and weatherboard with full height aluminium glazing overlooking the forecourt and road.